Microsoft Outlook is one of the most commonly used desktop email clients that was initially designed for Windows users to manage the information. It contains all items like emails, contacts, calendars, etc., which can manage each data in an efficient way. Although, its success led to MS Outlook design for other Operating Systems also. MS Outlook 2011 comes only for Mac users, which make a business deal much easier for an organization using Mac platform. However, Outlook for Mac consists of the same features as that of MS Outlook for Windows. The main difference is that Mac Outlook uses the .olm file extension to save data instead of PST format. To do this, all messages, contacts, tasks etc., are saved in OLM format file. Hence, like Outlook PST file for Windows, OLM file for Mac Outlook is so prone to corruption, which may result in an inaccessible OLM file and starts generating some errors. Among all, Mac Outlook 2011 might pop up an error code 17199 while sending all emails. Therefore, in this blog, we are going to discuss all manual tricks to resolve Outlook Mac error code 17199 in a secure manner. Quick Solution: If users are aware that their Outlook OLM file needs to be repaired, then they can opt for third-party application named as Outlook Mac Recovery Software. Virus attacks and the slow internet connection that may cause OLM file corruption. If Outlook for Mac 2011 crashes, then it might result in an inaccessible file. Oversized OLM file can also be one of the major reasons behind Outlook error code 17199. Improper termination of PC and Outlook 2011 application can damage all files. Data corruption in storage location of the OLM file can also become a reason. The first thing users have to check the web or internet connectivity. 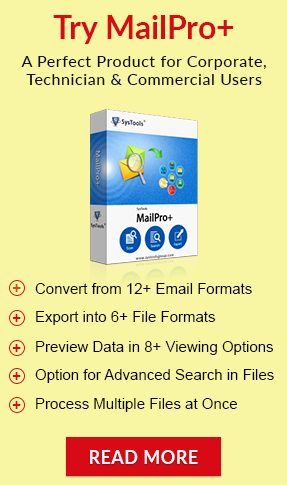 It is the main condition to continue the Mac Outlook mail services. Now, to verify if users are capable to connect with web service, one needs to login to any other email accounts such as Gmail. If it will work very well, then users can proceed further steps. The next thing is one can open the Outbox folder in Microsoft Outlook for Mac and remove all outgoing email messages from it. Afterward, click on Send or Receive option. If the same issue still persists, move to next step. In the last, click on the red button from the top-left corner of the screen and close it. If the above-described steps does not fix this issue, then rename or create the new identity by using Microsoft Database Utility. It is the inbuilt application and installed as a part of Microsoft Office. With this application, users can perform multiple tasks like create a new identity or set the default identity, and so on. It will recreate the identity of MS Outlook and try to overcome different kinds of corruption issues that may result in “An unknown error has occurred in Outlook” issue. However, always keep in mind that all such manual tricks are not a foolproof solution to resolve the error. There may be a chance that the OLM file becomes inaccessible due to some damage and users will not be able to repair them via manual approach. Thus, in order to have a guaranteed successful solution, a user is recommended to use a third-party tool as mentioned in the above segment. It is an amazing solution that helps to resolve all type of problems from an OLM file. Moreover, it is capable enough to repair inaccessible OLM files in bulk. Additionally, it maintains the folder structure during the recovery process. From the above-stated write-up, it is very clear that this error occurs in Outlook Mac 2011. This “An unknown error has occurred in Outlook” occurs when a user tries to send an email message in Outlook 2011. Therefore, in this blog, we have discussed all manual workarounds to resolve Outlook Mac error code 17199. Else, the users can take help of a commercial solution to get rid of all such errors in an efficient way.